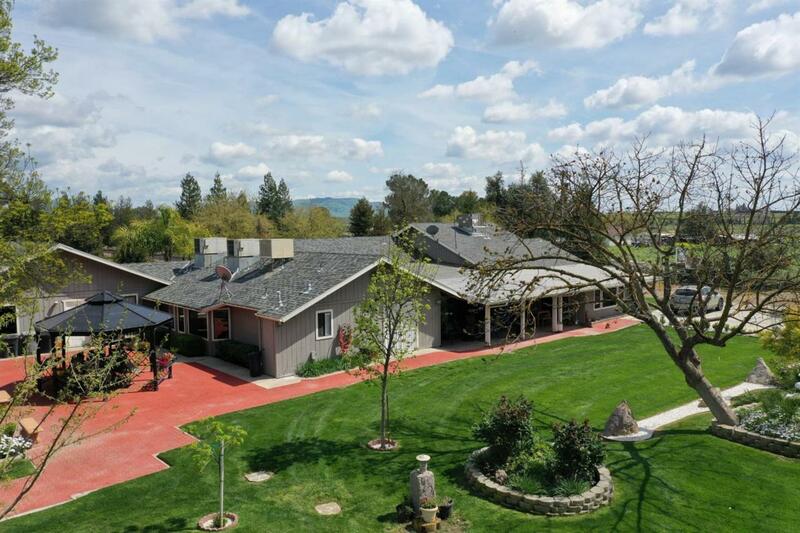 Pristine Serious Horse/Equestrian Estate country living @ is best with foothills views 19.6 Acres, This 4bd. 3.5ba* recent up-dated master bedroom has been added along with another bedroom in 2003 with permits,This home can accommodate large gatherings and the resort like, pool can provide an escape from the sizzling summers in Sanger,state of the art horse stable including pasture plus enclosed Round Arena. Stable/barn is immaculate and is top of the line metal building w/breeding room & 7 stall plus stallion stall. Home is in good conditions w/custom hardwood flooring, tile counters & floors, gorgeous view kitchen, spacious & lite, open floor plan w/both dual A/C units & energy saving that is control by two separate solar panel system, one is owned the second one is lease, This is a truly exceptional property, a must see!! make this your own paradise today.